For the very first time, OMEGA is offering online sales of a new timepiece. Expanding the reach from its global network of boutiques, the brand is excited to connect to its online community in a new way. For now, one unique watch will be marketed and sold exclusively online. The OMEGA Speedmaster “Speedy Tuesday” Limited Edition will be showcased on the @OMEGA Instagram channel and you will be able to click through to a dedicated page at omegawatches.com where they can reserve the watch. There are 2,012 models to reserve and, subject to availability, customers can even specify the Limited Edition number they want. Once chosen, the watches will be delivered in the summer of 2017.The OMEGA Speedmaster “Speedy Tuesday” Limited Edition has been produced five years after the creation of the #SpeedyTuesday hashtag by Fratello Watches founder Robert-Jan Broer. For half a decade, an online community of #SpeedyTuesday fans has been steadily growing around the world with Speedmaster pictures and comments being shared every week. In tribute to these chronograph devotees, OMEGA is proud to introduce the new model that blends some of the Speedmaster’s most popular design features. 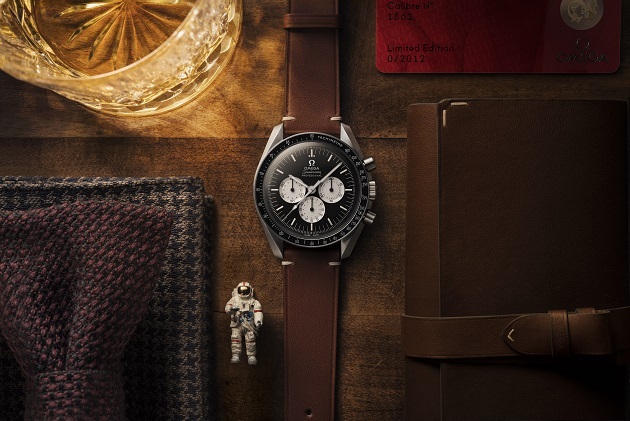 The design is inspired by OMEGA’s Speedmaster “Alaska Project III” model, created for NASA in 1978. At the time, NASA insisted that the watch had to be both anti-reflective and easy-to-read, or in other words - suitable for use in space. The “Speedy Tuesday” has stayed true to these qualities with a brushed matte-finish stainless steel case and large radial numerals on the subdials. In fact, the return of these famous radial subdials is just one of the vintage touches on the watch. The use of the “Reverse Panda” dial is also influenced from the past. First used by OMEGA in 1966, the white opaline-silvery subdials are set against a black dial, encircled with a bezel ring and tachymeter scale in matte black aluminium. There is a rare appearance of the vintage OMEGA logo and all markings and radial subdials have been coated with bright luminescent ink. 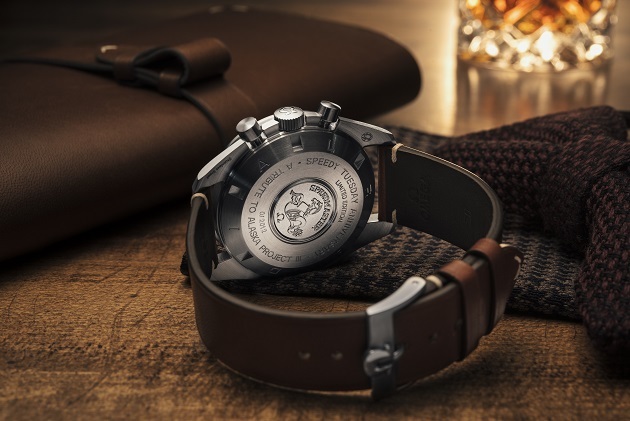 Other classic Speedmaster touches include a domed hesalite crystal with a central OMEGA logo, as well as a vintage-cut brown leather strap with vintage buckle and stitching. Turning the watch over reveals a screw-in caseback stamped with the Speedmaster’s iconic Seahorse medallion, encircled by the words SPEEDY TUESDAY ANNIVERSARY - A TRIBUTE TO ALASKA PROJECT III as well as the Limited Edition number (only 2,012 have been produced). Circling the outer-edge of the caseback is the word RADIAL.